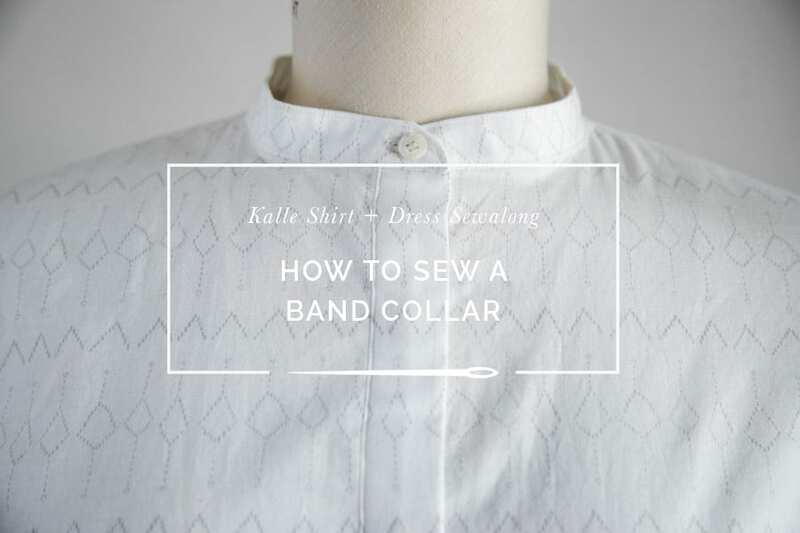 Our sewalong for the Kalle Shirt & Shirtdress pattern is drawing to a close. 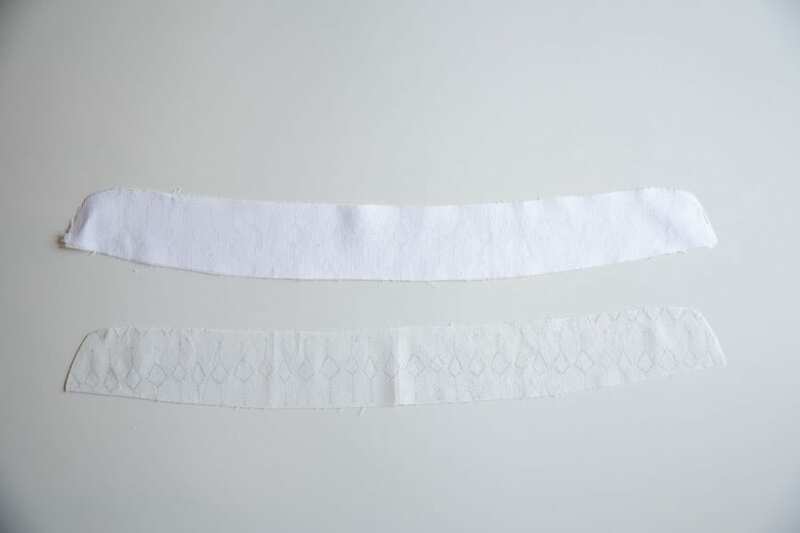 Later this week we will cover inserting the arm cuffs, but today we’ll wrap up our series on sewing shirt collars by demonstrating how to sew a band collar (also known as a stand collar or collarless collar). 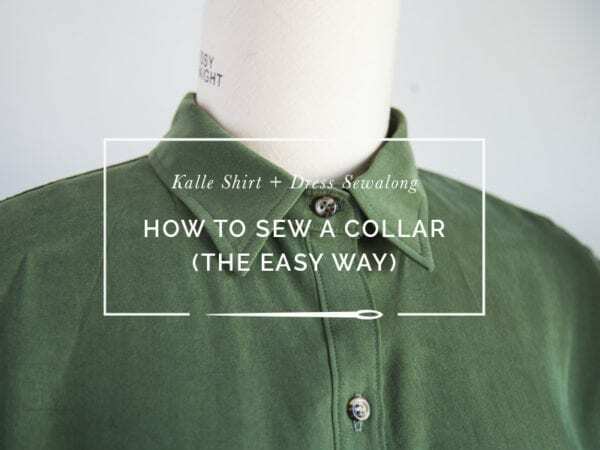 Earlier in the sewalong I showed you two techniques for sewing a regular collar; the traditional method, and an easier alternative method with a different construction order. The technique I am going to demonstrate for the band collars is basically a mix of the two. 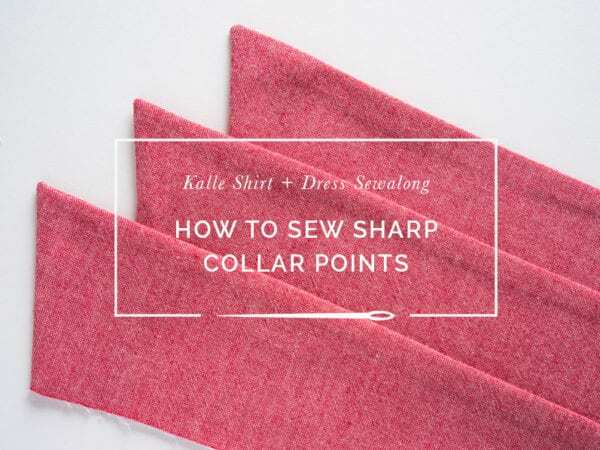 To start with, cut out your two band collars. Please note this is a different pattern piece than the one you use with the regular collar; it is narrower and a little daintier (one of my drafting pet peeves is when patterns use the same piece for stand and regular collars). Interface one of the bands. 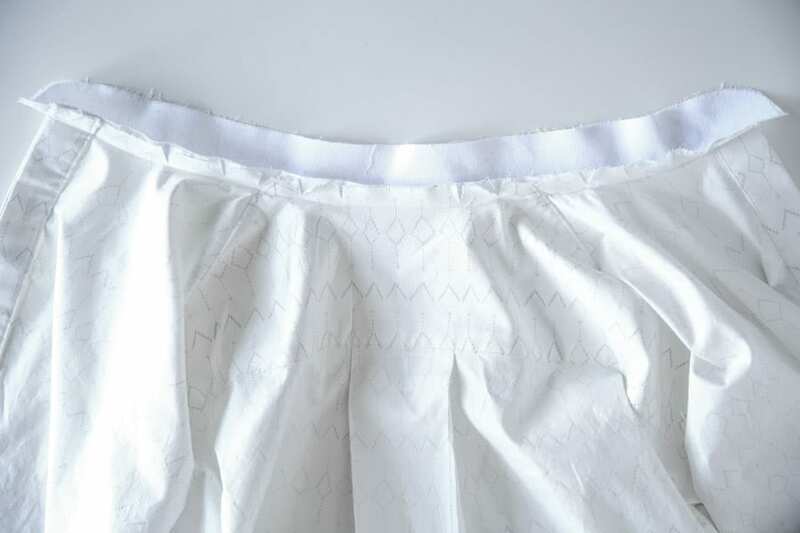 If you’d like to reduce bulk, you can trim the interfacing so it doesn’t extend into the seam allowance, but we didn’t do so in this example. 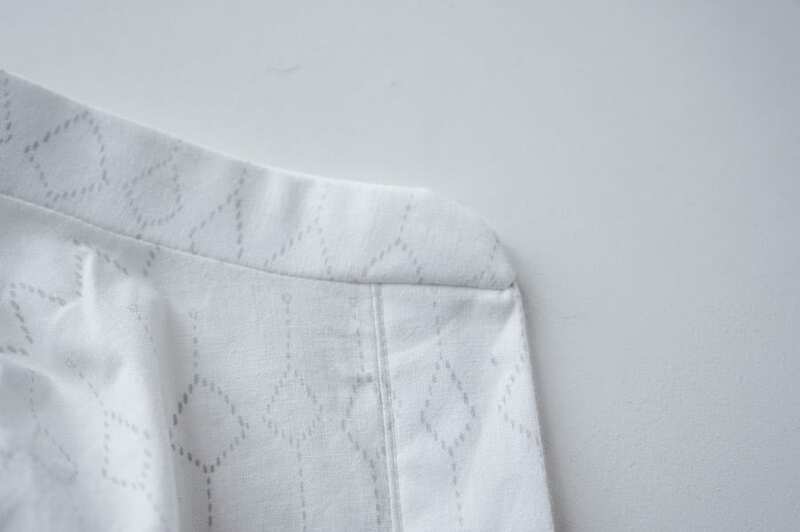 Staystitch along the neckline, just inside the seam allowance. Pin the interfaced band along the neckline. Clip to the staystiching along the curves to get it to lay flat. The band collar should extend past the edges of the shirt by 5/8″ on either side. 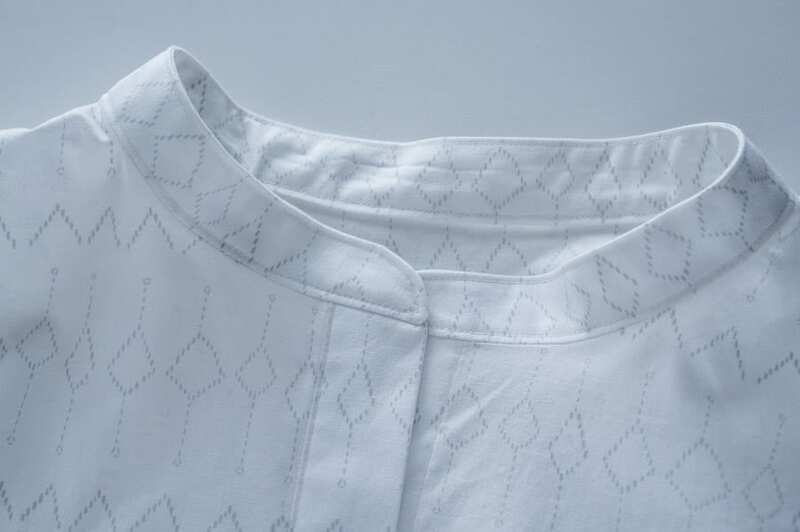 Stitch shirt to collar at 5/8″ seam allowance and press seam up. 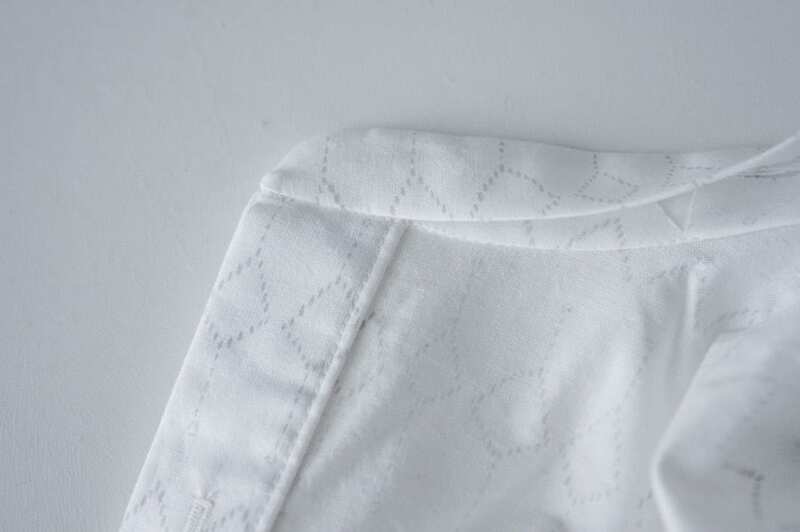 Finger press the seam down near the edge of the shirt on either side. Pin non-interfaced band collar to the interfaced collar, right sides together. 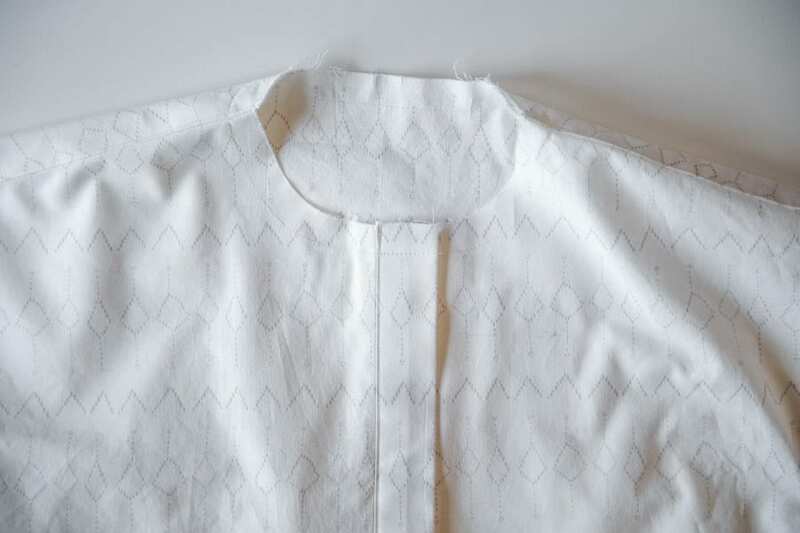 Roll the shirtfront out of the way of the seam allowance; it should sit in the finished area of the band collar. 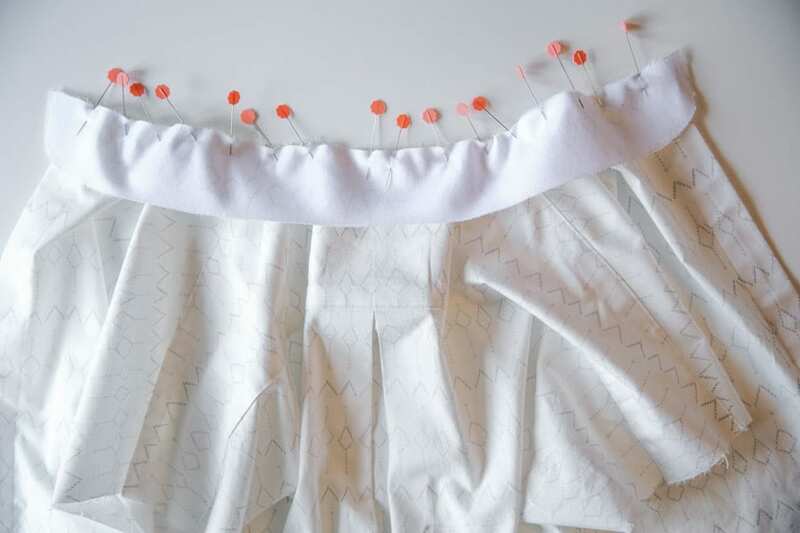 Pin the collars together all the way around as far as you can without catching the shirt front in the seam. 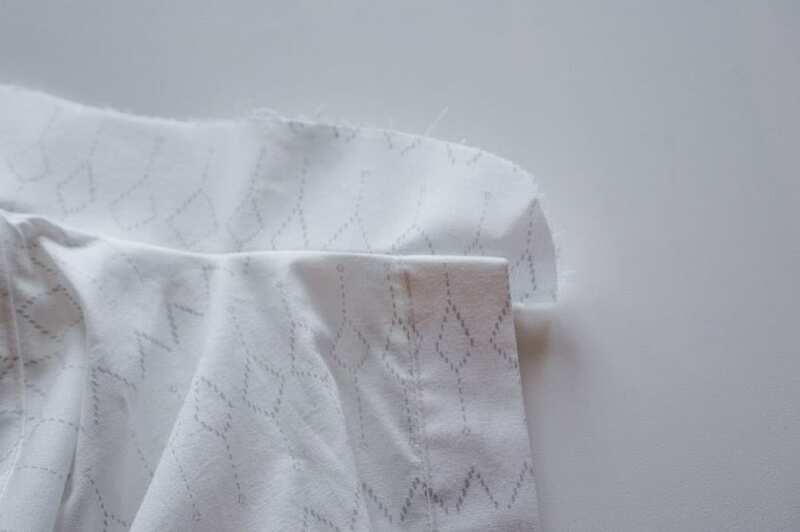 Starting on one side of the shirt, sew along the bottom of the collar, stitching as far as you can in, without catching the shirt front that is rolled out of the way. 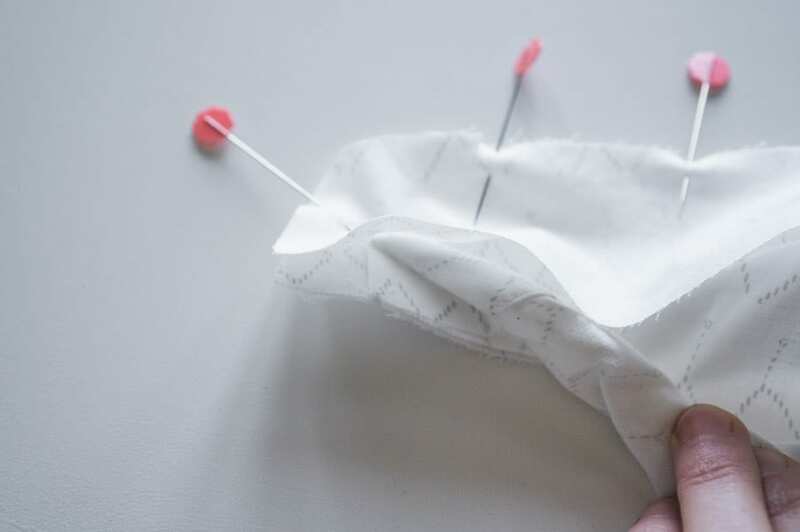 Stitch all the way around at 5/8″ using a short stitch length, pivoting at the corners with your needle down. 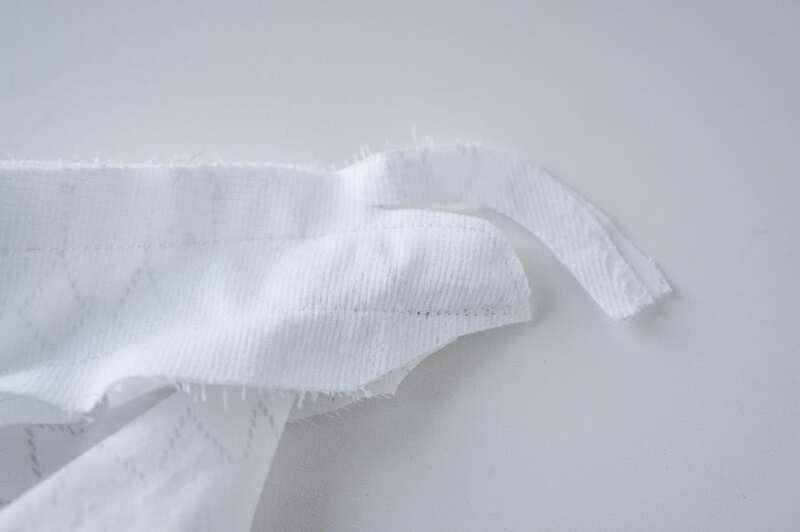 As you come back around to the other side, stitch as far as you can along the bottom edge of the band collar without catching the rolled up shirt with your stitching. It should look something like this on both sides when you’re done. 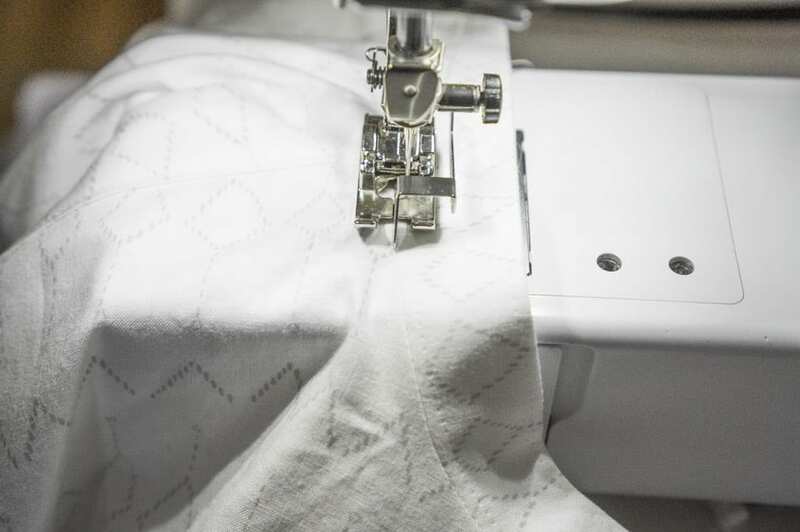 Trim close to your stitching, and grade remaining seams as necessary. Turn right side out and press thoroughly. You should have a nice clean corner where the edge of the stand meets the shirt. 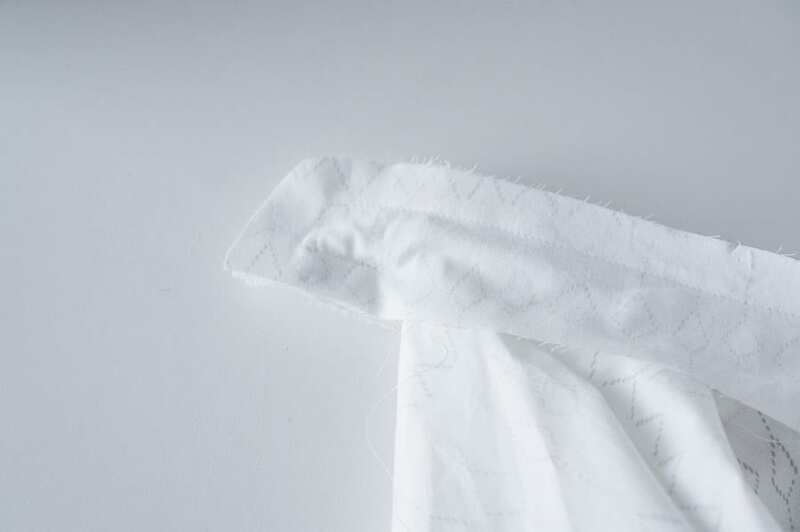 Press the raw seam of the inner band under along the neckline seam in between the two corners you just sewed, and then secure it in place. 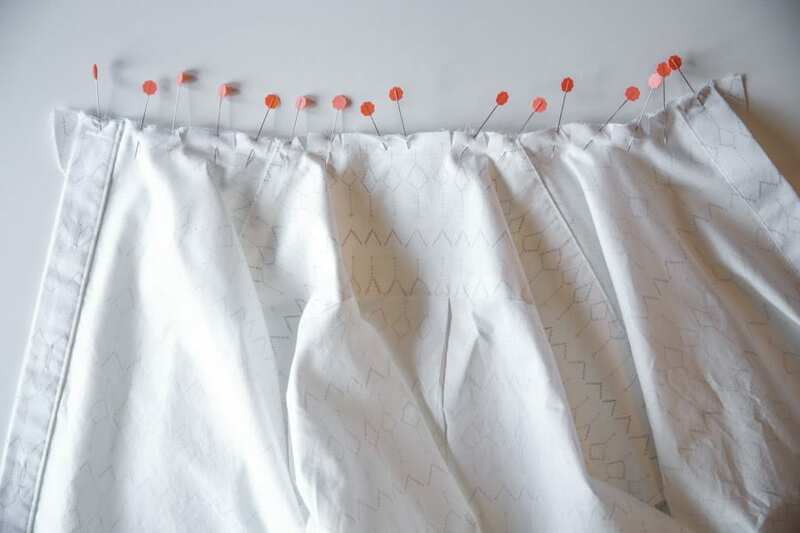 You can slipstitch it in place by hand, use wonder tape, or use a fabric glue stick and glue baste in place. 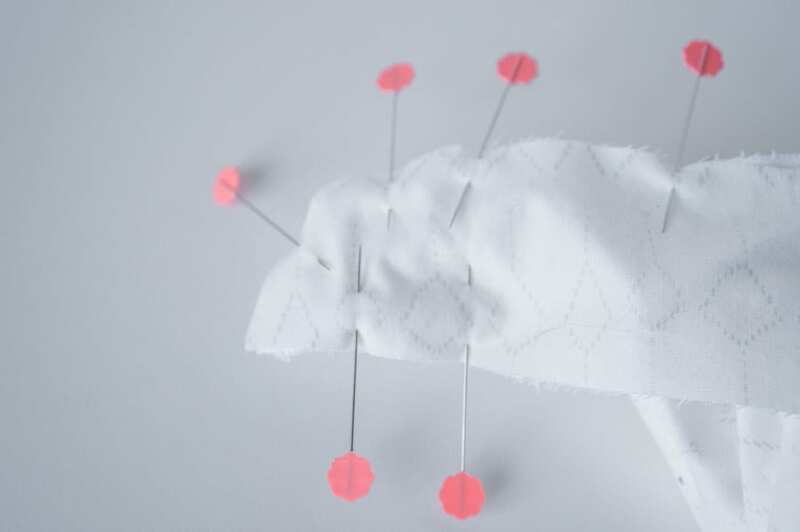 You can also try pinning it in place but I find you’re more likely to get puckers and misalign the inner band this way. With inner band secured, it’s time to topstitch. 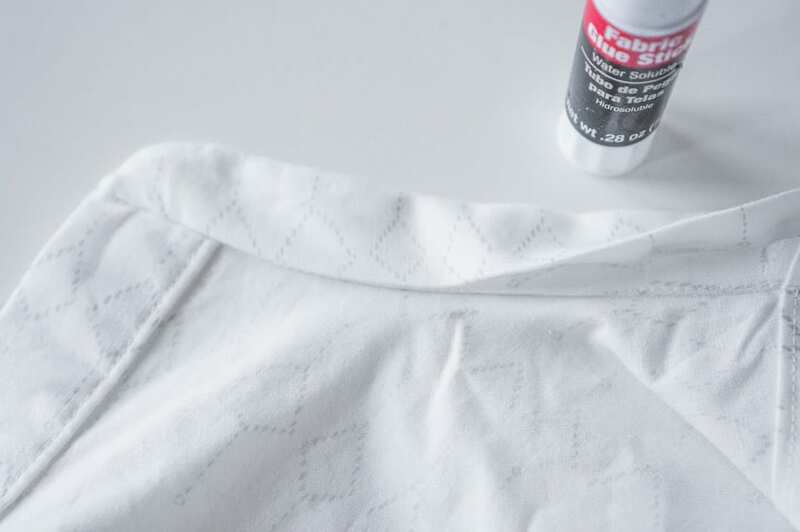 This is one of the trickiest parts of sewing shirts because it can be challenging to get your stitching even on both inner and outer band. 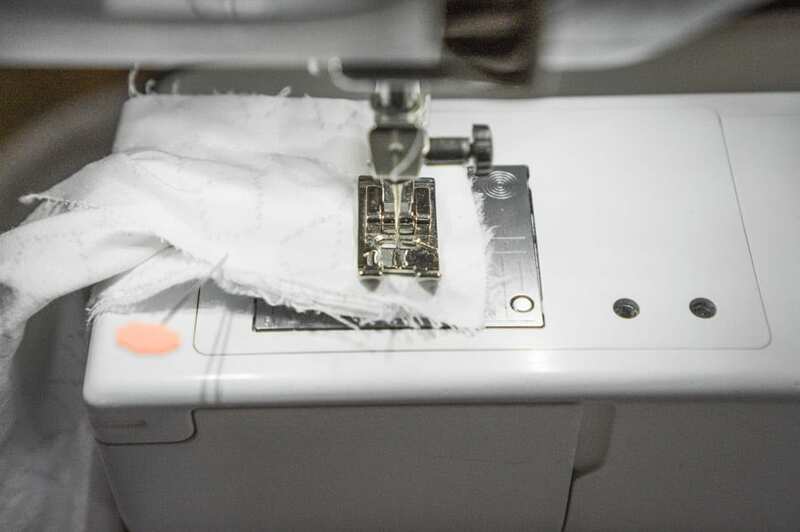 Most instructions call for you to topstitch on the outside of the shirt, but if you always wear your shirt unbuttoned like I do, you may want to do it from the inside so you can guarantee the topstitching is even on the side of the stand you’re most likely to see. 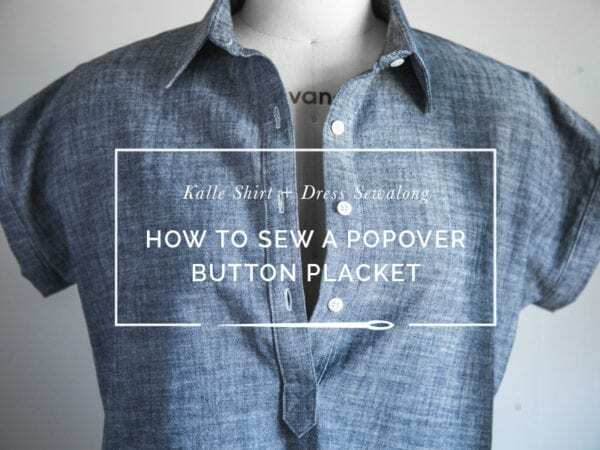 Start your stitching at the center back of the shirt. 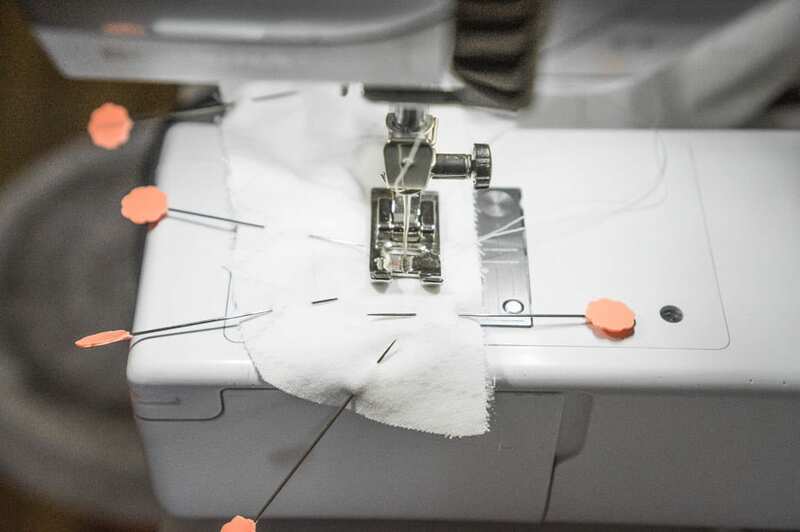 You’ll be topstitching about 1/8″ from the edge; an edge stitch foot can help you get even stitching here. 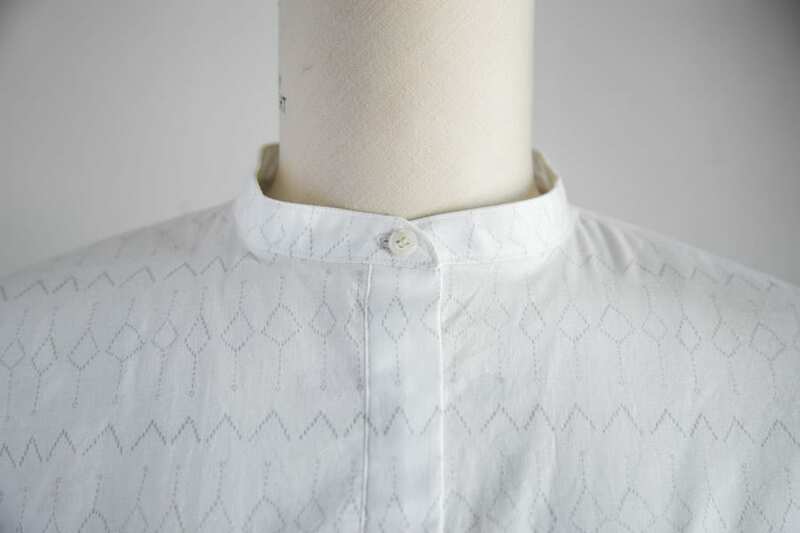 Continue all the way around until the band collar is topstitched all the way around. 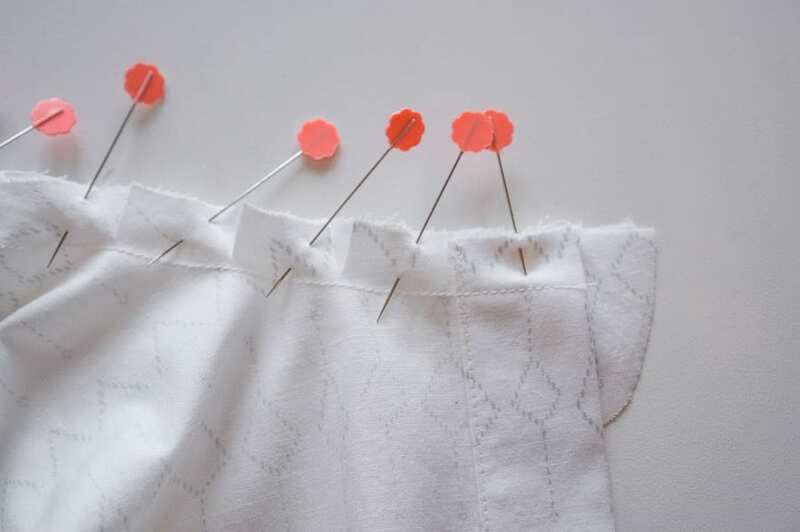 At this point you can go ahead and sew your buttonholes and buttons. 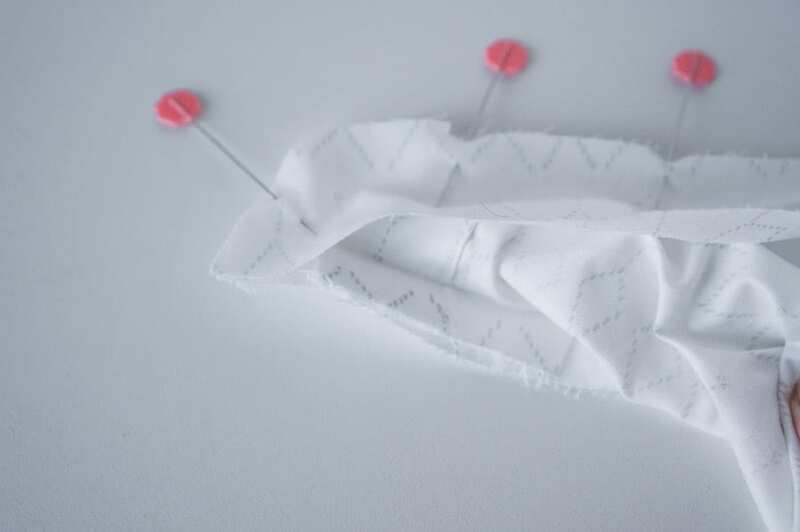 I suggest taking a look at our post on sewing perfect buttonholes if this strikes fear into your heart. Our last post in the sewalong will be here in a few days where we tackle the arm cuffs. See you then!